Home / Movies / Recreating the Twin Towers of World Trade Center for "The Walk"
Recreating the Twin Towers of World Trade Center for "The Walk"
Directed Robert Zemeckis, “The Walk” tells the true story of Philippe Petit, the young dreamer who dared the impossible: an illegal wire walk between the World Trade Center towers. Last August 7, 2015 is the 41st anniversary of the astounding event, now being brought back to vivid life in the third act climax of the film. The film is a live-action, PG-rated entertainment for all audiences, ages 8 to 80. A love letter to the World Trade Center, the film is a 3D and IMAX® visual experience, unlike anything audiences have seen. 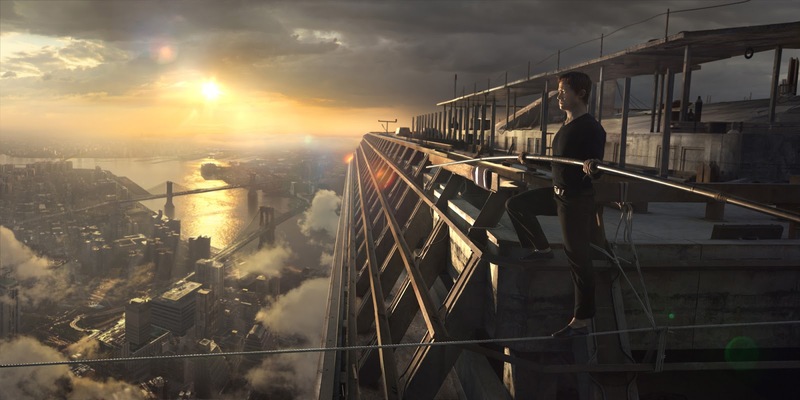 Recreating the towers offered production designer Naomi Shohan and visual effects supervisor Kevin Baillie their greatest production challenge on “The Walk.” Ultimately, their work is a combination of an extremely large stage set and months of digital recreation. The first challenge came in deciding what to build practically and what to create digitally. “We had to figure out what square footage of the roof set would produce the maximum number of shots, knowing that there would be quite a lot of shots,” says Shohan. “We wanted to be faithful – more than faithful. We wanted to celebrate the towers, the scale of them. If you’re not aware of the place, you can’t possibly appreciate the enormity of the deed. Relying on the original blueprints for the Trade Center, Shohan designed and built an enormous, 40-foot-by-60-foot corner of the South Tower, where most of the action takes place as the story stays with Philippe during the caper. Though the filmmakers would need to film action from the North Tower as well, they could make due with only one corner, because the two towers were largely mirror images of each other; Shohan could simply strike the stage dressing on top of the roof and re-dress it for its opposite corner. To recreate the rest of the roof, the towers, and 1974 New York as seen from nearly 1400 feet in the air, Kevin Baillie and his visual effects team built a model that is meant only to be viewed from above – Petit’s point of view during his walk. 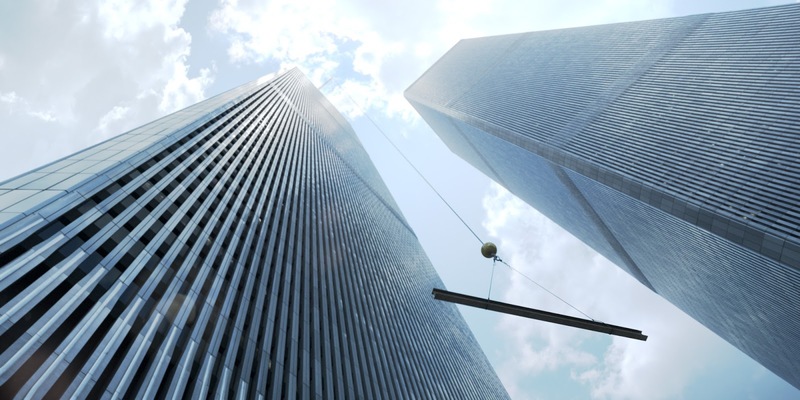 However, because Zemeckis planned a few shots from below – for example, from the World Trade Center Plaza – these areas of the model are complete and ready to be explored, as if you were walking around the city. In the end, recreating the structures of the city and the Towers took Baillie’s “construction team” of 15 people three months to complete – four man-years’ time – after which a team of more than 100 artists spent five months integrating that digital world into the green screen footage from set. “There were definitely times when it was emotional, for both myself and the crew,” he says. “As we went through the reference photography, we saw a lot of imagery from 9/11, because those are obviously the latest images that you can find of the towers. So I think we felt a great sense of responsibility for portraying the towers in a way that was honest and also honored them. Opening across the Philippines in October 14, “The Walk” is distributed by Columbia Pictures, local office of Sony Pictures Releasing International.